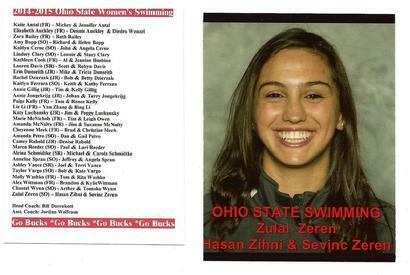 The information and pictures in these pages only cover Zülal Zeren's years at the Ohio State University, where she studied as an undergraduate student with a full scholarship in swimming. Zülal who's love for swimming began at age nine, started competing in National and International level for Turkey at the age of thirteen. Before coming to the United States, she broke numerous records and won several meets in the youth category for Turkey, including the Mediterenean, Balkan and Islamic Games. She continued her International success while at Ohio State, highlighted by the A Finals in the European Championships in London and winning the Latvian Championship in Riga, Latvia in 2016. Prior to Ohio State: Backstroke and freestyle specialist ... will represent Turkey in June 2013 at the Mediterranean Games ... has competed for Turkey in the European and World Short Course Championships in 2012 ... made appearances in the semifinals in the 50m and 100m backstroke and finished fourth in the 400 medley and 400 free relays at the 2010 European Junior Championships in Finland ... broke a record in the 50m backstroke and took second place in the 100m backstroke at the 2010 Balkan Junior Championships in Bulgaria ... holds the Turkey record in 200m backstroke ... has earned several medals in club competitions ... placed first in several backstroke events for high school squad ... team captain junior team from 2008-2011 ... coached by Levent Camuscuoglu at the Fenerbahce Sport Club for the last nine years. Zülal Zeren breaks Turkish record in prelims of Ohio State Sectional, July 22, 2015. 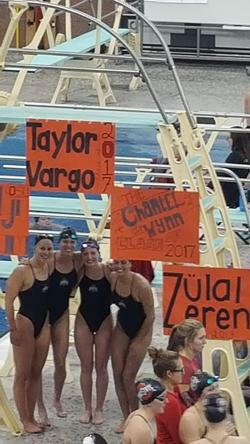 Buckeyes Zulal Zerengot off to a fast start Wednesday morning at the 2015 Speedo Sectionals, hosted by the Ohio State Swim Club at McCorkle Aquatic Pavilion. 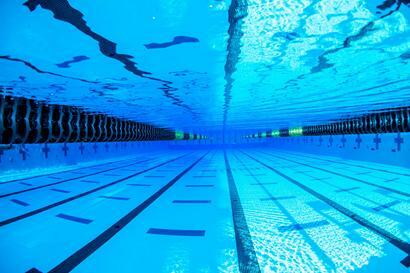 Scheduled to take place July 22-25, the meet is part of the Speedo Champions Series, which joins some of the top swimming talent in the United States in several stops throughout the year. Zeren, who was recently named to the Turkish National Team for the 2015 FINA World Championships, posted a school record-breaking time of 2:13.6 in the 200 backstroke. The time was also a Turkish national record. 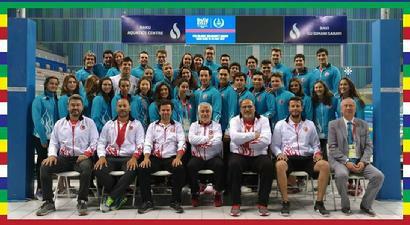 A native of Istanbul, Turkey, Zeren will travel to Kazan, Russia to compete at the FINA World Championships, July 24-Aug. 9. 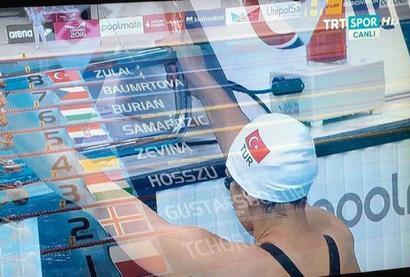 Zülal Zeren, the Ohio State swimmer and member of Turkish National Swimming Team who recently represented Turkey in the FINA World Championships in Kazan Russia, has just rounded up five day competition at the TSF Turkish Summer Championships in Istanbul Turkey. 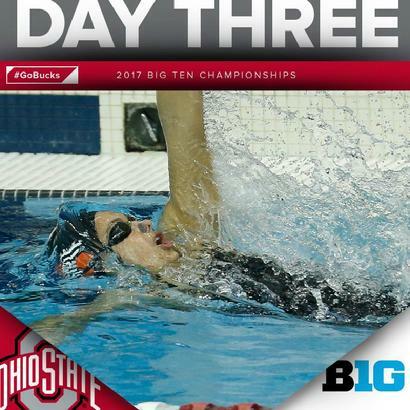 Before leaving for overseas Zeren, the backstroke specialist, broke the Turkish National and Ohio State varsity records in 200 m backstroke, swimming in 2:13:63. at the McCorkle Aquatic Pavilion. 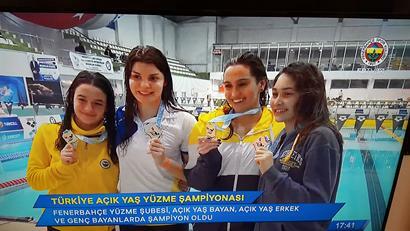 This time in Istanbul fırst she equaled the Turkish record in 100 m backstroke with a time of 1:02:46, securing the first place. And today she broke the record in 200 backstroke once again with time of 2:12 :41 making the B cut for the Rio Olympics.Zeren also won another gold medal in 4x200 m free style medley during the Turkish Championships and swam for a bronze in 50 m backstroke. 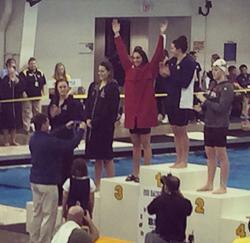 A big congratulation goes to our Buckeye swimmer Zülal and we wish her safe travels back home. 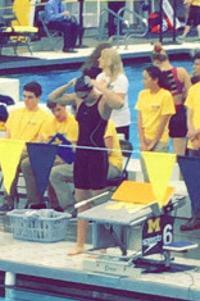 Correction, after her record in 200 Back, she competed in 4x 100 m medley and won her fourth gold. Wow ! Ohio State Üniversitesi ve Türk Milli Takımı yüzücülerinden Zülal Zeren Rusya'nın Kazan şehrinde yapılan FINA Dünya Yüzme Şampiyonasında Türkiye'yi temsil ettikten sonra bu defa İstanbul'da beş gün süren TYF Türkiye Yaz Şampiyonasına katıldı. Okyanus ötesi yolculuğa çıkmadan hemen önce Zeren Ohio State üniversitesinde yapılan yarışmalarda 200 m sırtta 2:13:63 derecesi ile hem Ohio State Üniversitesi hem de Türkiye rekoru kırmıştı. İstanbul'daki yarışmaların ikinci gününde 100 m sırtta 1.02.46 lık derecesi ile Türkiye rekorunu egale ederek birinciliği kazanan Zeren bugün de 200 m sırtta 2 :12 41 derecesi Türkiye rekorunu bir daha kırmakla kalmadı Rio Olimpiyatları için konulan B barajını da geçti.Bunun dışında 4x200 serbest karışıkta bir altın madalya kazanan Zeren 50 metre sırtta da bronz madalyanın sahibi oldu. Düzeltme: 200 m sırttaki rekorundan sonra 4x100 m karışıkta da yarıştı ve dördüncü altın madalyasını kazandı. Milli sporcumuzu yürekten kutlar sağlıklı bir yolculukla evine dönmesini dileriz. 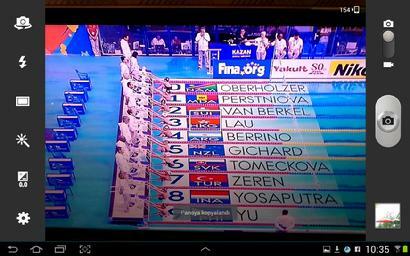 WITH HER NEW TURKISH RECORD 2:12:41 IN 200 M BACK STROKE,AUGUST 16,2015 ZULAL ZEREN MAKES THE B CUT FOR RIO OLYMPICS. And Michigan’s Clara Smiddy scored her second Big Ten title of 2016, sweeping the backstroke events with her win tonight in the 200m event. Smiddy owned the race from start to finish, clocking splits of 26.32/27.85/28.21/29.19 for the victory over 2nd place Kennedy Goss from Indiana. Smiddy was able to improve upon her 2nd place finish from last year, as well as drop almost two tenths from her time at that edition of the meet to notch her 3rd sub-1:52 mark of her career. Goss put up a big fight, especially towards the end where she out-split Smiddy on her final 50, closing in 28.08. But the Hoosier sophomore just ran out of real estate and settled for 2nd place tonight, touching in 1:52.18, still a career-best. Ohio State got on the board again, this time courtesy of Halime Zulal Zeren, who rounded out the top three with her swim of 1:54.52, about .4 of a second swifter than her morning swim. Team Score Watch Through Event 16: Michigan 1050, Indiana 968.5. Ohio State Buckeyes swimmer Zulal Zeren who placed 7th in 200 Back at the European Championships in London last week, won the first place today at the Turkish Championships in the the same event with 211.85. Way to go Zulal. Halime Zülal Zeren (@zulalzeren), the Ohio State swimmer, and member of the Turkish National Swimming Team who recently represented Turkey in the European Aquatics Swimming Championships in London, will be one of the main competitors to qualify for the Rio Olympics art next week’s Latvian Nationals. 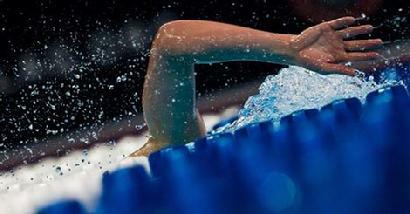 Twenty-one year old Zülal Zeren is a Turkish female swimmer competing mainly in freestyle and backstroke events. Just few weeks ago she placed seventh in the 200m backstroke at the European Aquatics Swimming Championships in London, where she clocked her all-time best – 2:11.71. This is just a stone’s-throw away from the RIO Olympics cut time of 2:10.25. Zeren is also one Turkey’s best backstroke swimmers. At the 2013 Mediterranean Games in Mersin, Turkey, Zeren won two bronze medals and set three national records. She was also very successful at the 2013 Islamic Solidarity Games held in Palembang, Indonesia by taking a total of six medals, five of them gold. Today Zeren holds several national records in short course events and holds the second all- time best 200m backstroke time in the long course. Her progress is promising in the spectacular battle for faster swim times. Another Turkish athlete, twenty six year-old, Baslakov İskender will also compete at the Latvian Nationals. He is the national record holder in several short course distances, the 50m fly on long course, and has represented Turkey in several European and World Championships where he has participated in the Finals. 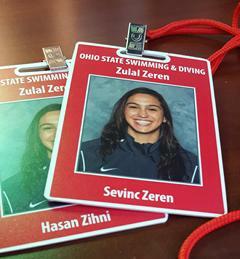 Zulal Zeren, the Ohio State University swimming team’s senior backstroke specialist who also swims for Fenerbahce S.C. in Istanbul and the Türkish National Team, flew back to her home country for the Türkish National Swimming Championships this past week. 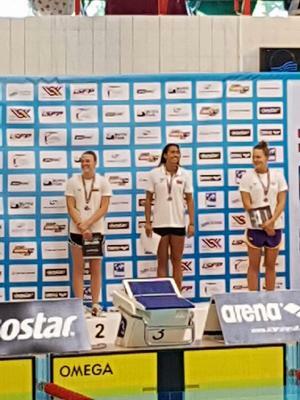 Zeren’s peek performances in international competition this summer came at the National meets in Mersin, Turkey and Riga Latvia where she earned the gold medal in 200 meters backst...roke in long course competition. She was also an A finalist in 200m backstroke during the World Swimming Championships of 2016 in London. Zulal ended her 2016 international competition on a high note in Istanbul last week. 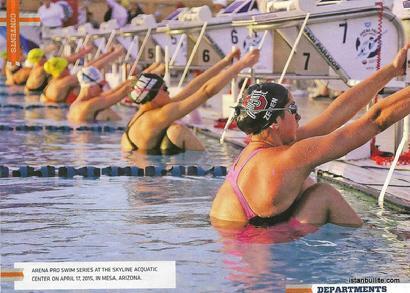 At the Winter Nationals of Turkey she placed first, in 200m backstroke short course competition. She also helped her team in winning to two more gold medals at the 4x 50 meter medley and 4X100 m medley. 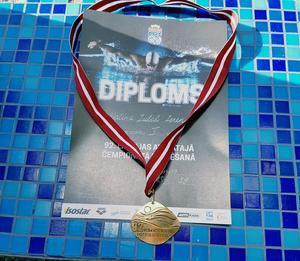 Her two other medals, both silver, came at the 50 m backstroke, where she touched the wall a mere.03 seconds behind the winner of the event, and 100 m backstroke wıth a time of 1:00:34. 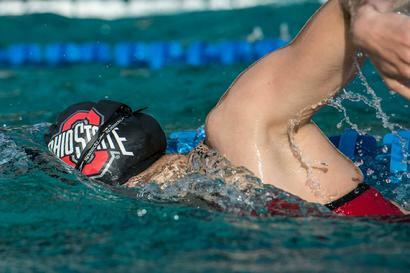 After fınishing the competition on Christmas day and spending a single day with her family at home she will be flying back to Columbus again to to join her teammates of the Ohio State Women’s swimming team. 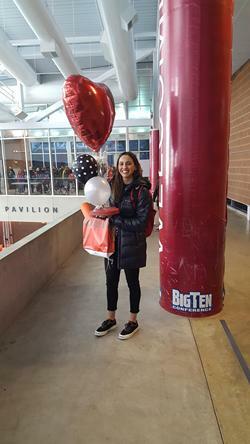 This time she will start getting ready to help her Buckeyes at the Big Ten Champıonshıps and trying to qualıfy for the upcoming NCAA championships in Indiana this winter. Renklerine gönül verdiği camiamızda 9 yaşında yüzmeye başlayan ve 10 yaşından itibaren her yaş gurubunda takım kaptanlığı yapan Halime Zülal Zeren, çok sayıda başarıya da imza attı. Eğitim ve sporculuk kariyerine bir arada devam ettirebilmek için 3 yıl önce ABD’nin yolunu tutan 21 yaşındaki milli yüzücü, buradaki eğitimine ara verip; Türkiye Açık Yaş Yüzme Şampiyonası’nda takımını yalnız bırakmamak için İstanbul’a geldi. Şampiyonanın ardından tekrar ABD’ye dönen Zülal ile bu uzun yolculuk öncesi bir araya geldik ve bir solukta okuyacağınız keyifli bir röportaja imza attık. 01: 21 yaşındayım ve 10 yaşımdan itibaren bu seneye kadar kulüp olarak katıldığımız her turnuvada şampiyon olmak bizim için bir gelenek haline geldi. Hatta bir sene, büyük bir rakibimiz bizim en önemli dört sporcumuzu transfer ederek şampiyonluk planları yaparken, biz tamamen genç takımımızla Türkiye Yaz Şampiyonu olmuştuk. 02: 13 yaşımda Samsun’da milli takım seçmelerinde 200 metre sırtüstü stilinde kırdığım ilk Türkiye rekorunu unutamam. Balkan Gençler rekoru kırarak Bulgaristan’da okuttuğum milli marşımızı, Avrupa Şampiyonaları’ndaki final yarışlarımı, Akdeniz Oyunları’ndaki bronz madalyaları kazandığım yarışları, İslam Oyunları’ndaki altın madalyalarımı, Avrupa’daki çeşitli yarışlardaki madalyalarımı ve ABD’de yapılan Big 10 yarışlarındaki madalya sevinçlerim unutamadığım anlarda ilk aklıma gelenler. 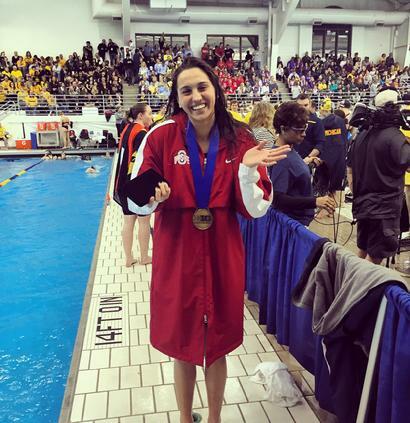 OHIO STATE UNIVERSITY WOMEN'SWIMMING NEWS :Zülal Zeren will represent Turkey and Ohio State at the Universiade 2017 games in Taipei. Every end is a new beginning/Her son yeni bir başlangıçtır.